Mathematical formulae, like Euler’s identity, are rarely considered candidates for universal beauty like the works of Mozart, Shakespeare or Van Gogh. However, when mathematicians are shown equations while in a brain scanner, the same emotional brain centres used to appreciate art are activated. A study by Proffesor Semir Zeki from University College London and co-workers(1) published last week, shows that the experience of mathematical beauty correlates parametrically with activity in the same part of the emotional brain than the experience of beauty derived from other sources —field A1 of the medial orbito-frontal cortex. Their research suggests that there may be a neurobiological basis to beauty. Nothing without understanding would ever be more beauteous than with understanding, and further that understanding cannot arise anywhere without a soul. 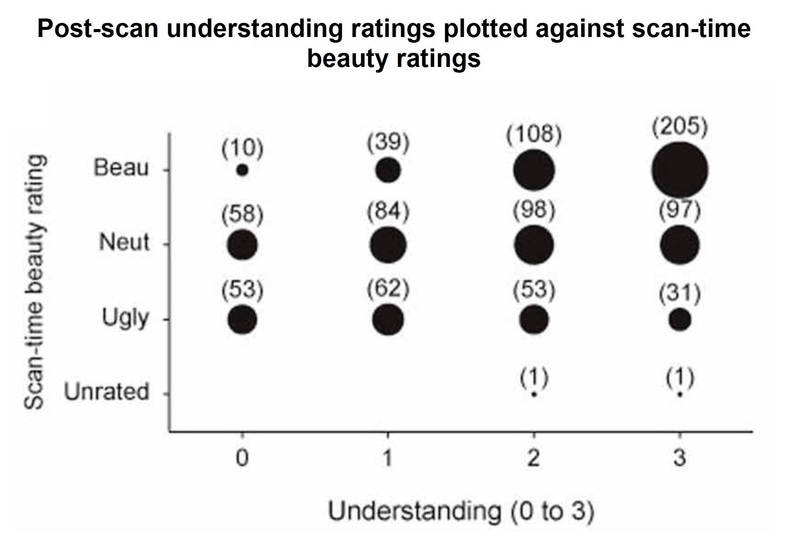 Hence, the authors have paid special attention to this relationship and they conclude that the correlation between beauty and understanding, though significant, is imperfect. Some combinations of form are more aesthetically pleasing than others, even if they are not “understood” cognitively. There seem to be an abstract quality to beauty that is independent of culture and learning. Euler beats Ramanujan(2). 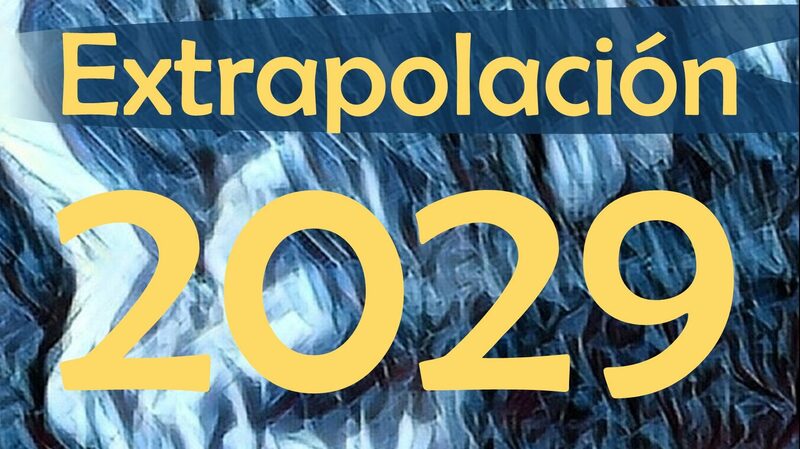 Plato also considered that the experience of mathematical beauty is the highest form of beauty, since it is derived from the intellect alone and it is concerned with eternal and immutable truths. He pointed to the capital question of whether beauty, even in such an abstract area as mathematics, is a clue to what is true in nature. This has been a question of intense debate, especially among physicists, as they pursued ever more sophisticated theories which, in many cases, possess an “unreasonable” explanatory power. David Peat: The papers you produced have been universally considered beautiful. Were you guided by notions of beauty? Paul Dirac: Very much so. One can’t just make random guesses. It’s a question of finding things that fit together very well. You’re solving a problem, it might be a crossword puzzle, and things don’t fit, and you conclude you’ve made some mistakes. Suddenly you think of corrections and everything fits. You feel great satisfaction. The beauty of the equations provided by nature is much stronger than that. It gives one a strong emotional reaction. 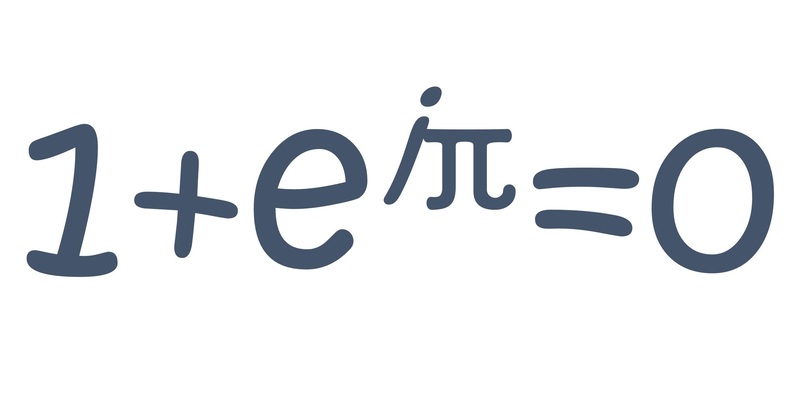 (2) The formula most consistently rated as beautiful was Leonhard Euler’s identity. It links 5 fundamental mathematical constants with three basic arithmetic operations each occurring once. The one most consistently rated as ugly was Srinivasa Ramanujan’s infinite series for 1/π. Previous “Eppur Si Muove”… or not?